Teamwork is essential for your IT organization to succeed. None of us would question it. But did you ever consider that teamwork is not a basic trait in your IT staff. In fact, working on and within a team is a challenge for most of your IT people. 90% are independent, self starters who are goal oriented. Did you hear me say, “independent“? Also, more than 90% are high detail people who like to do things their way. They are control oriented people who like to do the work themselves and have things done “their way”. These two issues are not exactly made for teamwork. In fact, they can work against good teamwork. Does this mean IT employees can’t be good team players? Certainly not, , , but it is important for IT managers to understand that it’s not a natural thing for 90% of your staff who have these two traits — independent and high detail. What this means is that the IT manager must work hard to ensure teamwork is created in your organization and people know how to become good team players. 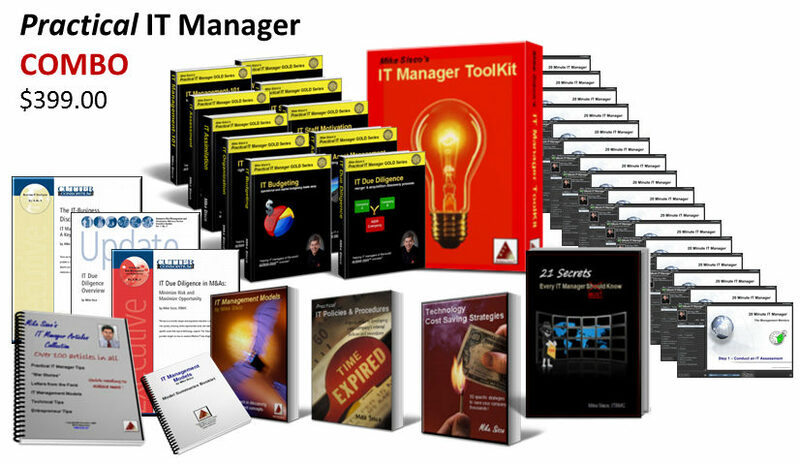 As an IT manager, you want to reinforce teamwork and client service all the time. Help your IT staff understand that “we will all be successful together”. 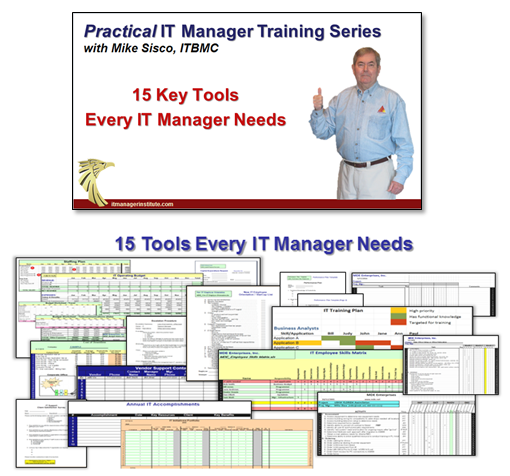 If the IT organization (the team) is not successful, there won’t be any successful individuals. It’s about the team, , , not about the individual. When the team is successful, we can all achieve success. In a functional team, people have very specific assignments and responsibilities. They know how to do their jobs and when everyone succeeds in their work, the team succeeds. Failure in any area can cause the team to fail so people need the tools and knowledge to do their job and you as manager must be certain all things necessary for success are addressed. People need to look out for one another, , , and help one another. It’s very difficult for someone who is highly independent and goal oriented to want others to succeed or to be the hero. We want those accolades for ourselves. Learning how to become cooperative and eager to help others succeed is a key strategy you want to reinforce with your team, , , even reward this behavior when you see someone exhibit it. You have to teach your IT staff fundamentals, , , like a football coach teaches blocking and tackling. 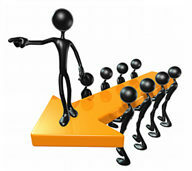 Fundamental skills like teamwork, project management, communication, and client service are essential for your success. Don’t forget to look at yourself when you think about this, , , 90% of all IT managers are also independent and high detail people. 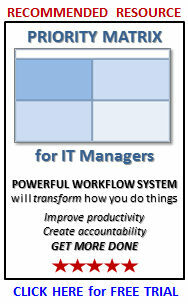 This entry was posted in IT Manager Tips and tagged it manager, it staff, manage people, teamwork. Bookmark the permalink.